It has been YEARS since we have bowled as a family. It's been years since Iris and Stephen have bowled AT ALL. So everyone was very excited when we surprised them with some cosmic bowling on a Friday night!! And right as we almost had our group shot....my batteries went dead. But even so, much fun was had! 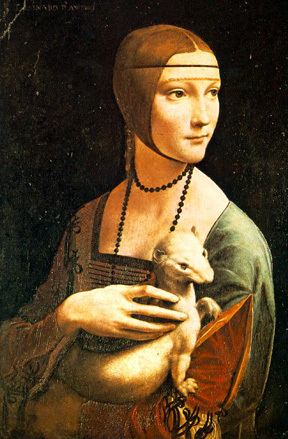 I think it's obvious from my photographs that I was merely inspired by da Vinci (seen below). Just kidding :) ...but they get sweeter the further down you go! Feliz Cumpleanos a ti. Feliz Cumpleanos a ti. Feliz Cumpleanos a Padre/Abuelo! Feliz Cumpleanos a ti!!! somewhere in my many piles of pictures, there IS a wedding picture that closely resembles the one below...but alas, it could not be found...aw well. :) Clyde took this one. The first shop we went to was the Printer's. He was by FAR the most animated and kid-friendly tradesman. He was all about giving them things to touch, asking if they had questions, cracking jokes and doing repeated demonstrations. He rocked the house!! After visiting the printing press, we had lunch. We had been informed at the visitor's center that all of the chef's would be able and willing to work with food allergies. We decided to eat at The King's Arms Tavern and found that to be ABSOLUTELY true! Our waitress was a dream! Our chef was even better! He came out and asked us what we WISHED we could have and then said he would do it. When the waitress realized Lucy couldn't eat the bread she brought out before the meal, she asked if she'd rather have crackers or strawberries. They even had desserts she could eat, which is REALLY unusual. Following dinner, we visited the silversmith. Stephen and he discussed apprenticeships and the merits of teaching children while they're young....as well as silversmithing. The next visit was Iris's FAVORITE! She walked in to the Milliner & Dressmaker Shop and was immediately smitten and enchanted with the milliner! The underclothing, dolls and methods of dressmaking of the day were pretty fascinating. But Iris would have adored her even if this were not the case, because she was so pretty and soft-spoken. Lucy and Iris admiring a linen gown. Lucy, Clyde and Stephen found the lady who did the embroidery and ribbon-weaving engrossing. As we hauled our awe-inspired girls from the milliner's, we decided to give poor Clyde a break and go to the blacksmith. The blacksmith is also a locksmith of sorts and makes locks and keys. Clyde found this extremely diverting and was not interested in leaving until he had figured out why it worked. After exploring the ins and outs of bellows and locks, we decided to venture to the military encampment and join the 2nd Williamsburg Regiment to prepare for war for independence. Our sargent was awesome. He yelled at us and called us names until he had everyone laughing. He taught our regiment how to lie about your age, load and fire your weapon, march in formation, sleep in a tent with 5 other people, and fire a cannon...all withing 30 minutes. This also included a history lesson on what the real 2nd regiment accomplished. After our time in the military, Lucy and I finally started feeling that familiar light-headedness coming on and so our day of fun and frivolity came to a hurried end. But we were plenty worn out and had our fill of play for the day. We loved Williamsburg and it's unanimous....we all want to go again! God Is In DC Too ;) ...course we knew that!